The Shakespeare Medal is awarded in recognition of extraordinary contribution to the appreciation of the Bard. Previous recipients include Professor Harold Bloom, Claire Bloom, Sir Derek Jacobi, Sir Peter Hall, Christopher Plummer, Michael Kahn, Richard Easton, and Sir Kenneth Branagh. Most recently, Mirren earned both Oscar and Golden Globe nominations for her performance in The Last Station, playing Sofya Tolstoy, opposite Christopher Plummer’s Tolstoy. Mirren has also worked extensively in the theatre. Most recently reprising her role of Queen Elizabeth II in The Audience in London’s West End, for which she won the Olivier Award for Best Actress. Christopher Plummer played the great novelist Tolstoy opposite Helen Mirren in The Last Station where he received his first Academy Award nomination in 2010. 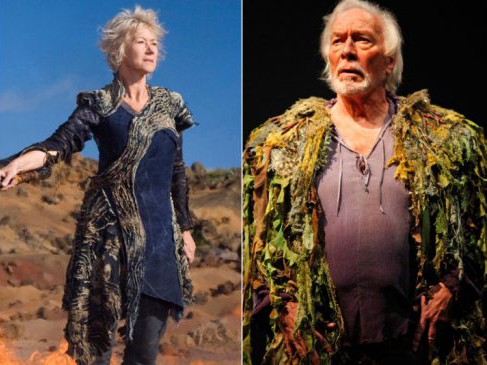 Helen Mirren played Prospero in the film The Tempest, Christopher Plummer played Prospero in the theatre in Stratford in 2010 at the Stratford Shakespeare Festival.